Today has been all about listening to “A Thousand Splendid Suns” on CD, watching “Nurse Jackie” on DVD, and soaking up the warmth of the wood stove while stitching. 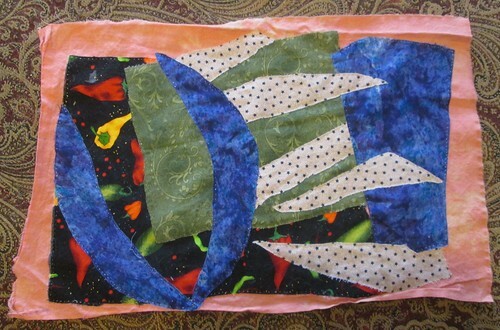 I pulled out this half-finished design from the Abstract-a-licious workshop I took with Lyric Kinard last March. 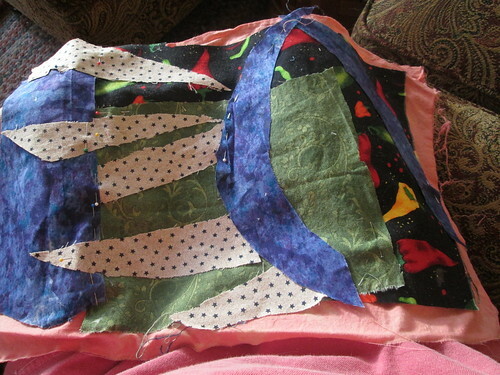 All the pieces sewn down with tiny hand stitches. Such patience …………I applaud your efforts.